Tuition waiver is applied per registered referee (i.e. 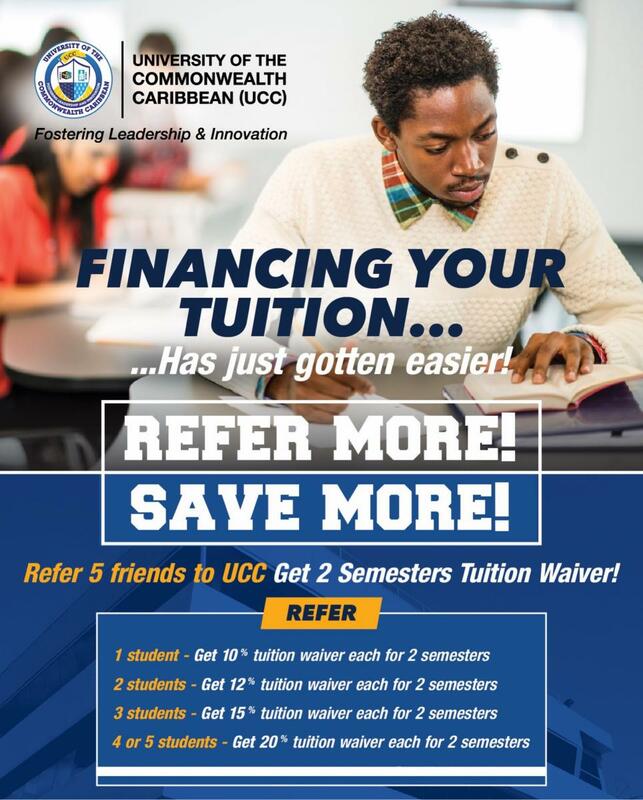 tuition will be applied for each person that you refer that becomes a student) If you refer 1 friend, your tuition waiver will be 10% off your tuition (calculated as 1 x 10% = 10%). If you refer 3 friends, your tuition waiver will be 45% off your tuition (calculated as 3 x 15% =45%). If you refer 5 friends, your tuition waiver will be 100% off your tuition (calculated as 5 x 20% = 100%). Referee must become a registered student. Tuition waivers will be applied only ONCE in the same semester which referee becomes a registered student. Part-Time Students: Tuition waiver will be applied to NO MORE THAN 3 modules. Full-Time Students: Tuition waiver will be applied to NO MORE THAN 5 modules. Waivers can only be applied to 3-credit modules for Undergraduate students. Graduate Studies: Tuition waiver be applied to no more than 1 module. Tuition waivers in the student referral programme are applicable in value for service only. There will be NO cash payout. Select programme that you are currently registered in. To be eligible, referral but be within 6 months. Input your UCC student ID number here. Please enter the full name or ID# of the person that referred you to UCC. Please enter the full name or ID number of the person that you referred to UCC.